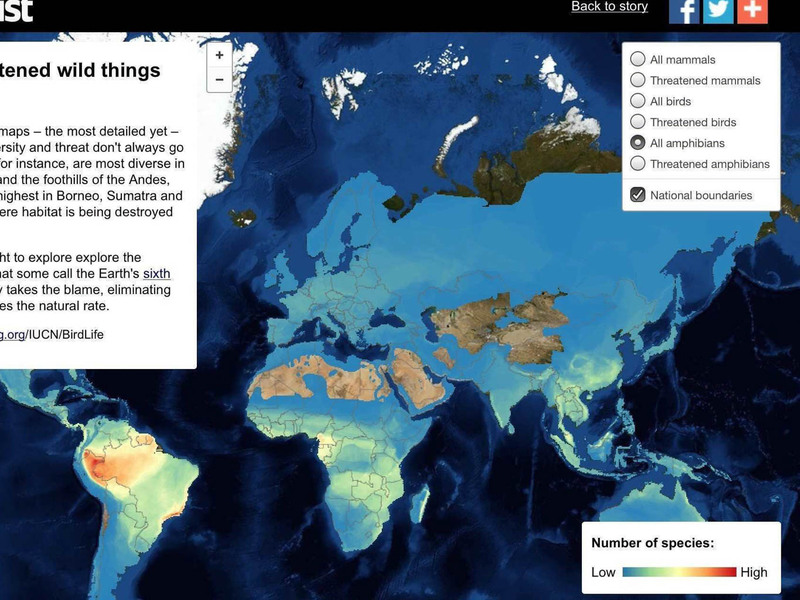 We found this interactive global biodiversity map which shows the hotspots of diversity and threats. What is most surprising that biodiversity and threats do not coincide. Mammals, for instance, are most diverse in the upper Amazon basin and the foothills of the Andes, yet extinction threats are highest in Borneo, Sumatra and the Malay Peninsula. Europe shows lower levels of threats but even here mammals, birds and amphibians are under threat.